The people in the late Gary Dorsinvil’s painting are taking back control of their country, in peaceful but determined protest. They reveal the same courage that the people of Haiti exhibited at the turn of the 19th century when they rid the country of slavery forever, in defiance of the colossus to the North that held onto the institution of slavery for another sixty years. My focus is twofold: one is the quality of life in Haiti under the Duvaliers who presided over a nightmare republic. The other is United States policy toward Haiti beginning with Woodrow Wilson’s landing the Marines in Haiti in 1915; they didn’t leave until 1934. My portrayal of the Duvalier years is of a Haiti overrun by American drug dealers, arms dealers, and various scoundrels and profiteers. Papa Doc’s Haiti attracted any number of these scoundrels, gun-runners, con men, and Mafia cohorts of Duvalier. They were escorted down to Haiti by Clemard Joseph Charles, and, described by the American ambassador at the time as “carpet-baggers.” Behind the scenes, American government agencies are trying to figure out how to unseat the Duvaliers, while at the same time ensuring that the successor will be firmly under U.S. control and looking out, first, for American business interests. 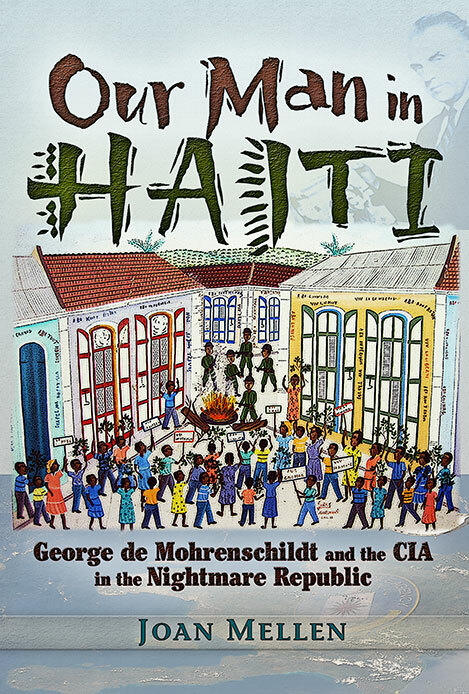 Among the people who might be designated “our man in Haiti” are several: one is in the subtitle: George de Mohrenschildt, an international adventurer who sold himself to more than one intelligence agency. CIA was but one of them. France was another. Maybe Poland. “Our” man in Haiti could be Papa Doc (Francois Duvalier) himself, who held the people of Haiti under a reign of terror and was a favorite of the U.S. 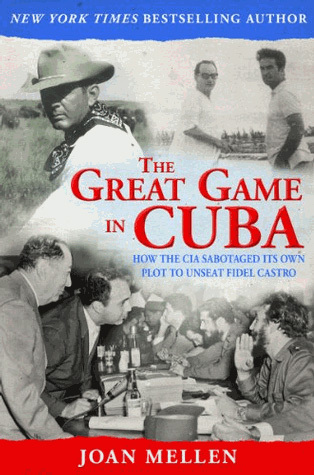 The U.S. liked Papa Doc when they could use him as a foil against Fidel Castro. Unlike Castro, Duvalier would be the Caribbean leader whose country was open to American business. When Duvalier showed signs of being “unreliable,” CIA tried to figure out how to get rid of him and with whom to replace him. They were constrained by not wanting the hand of the U.S. to be observed in their plots. We were too close in time to the “Bay of Pigs” invasion which had embarrassed John F. Kennedy so profoundly. George de Mohrenschildt had already been the CIA handler of a New York lawyer named Herbert Itkin, knee-deep in anti-Duvalier politics. De Mohrenschildt had been introduced to Itkin by Allen Dulles himself and de Mohrenschildt kept up with Itkin until other people were brought to his interest. In Dallas in 1962 and early 1963, de Mohrenschildt had been asked by CIA to keep an eye on Lee Harvey Oswald. When Oswald moved to New Orleans, CIA provided de Mohrenschildt with a yet another person of interest to shadow. This was Clemard Joseph Charles, proprietor of the first independent commercial bank in Haiti. Maybe Clemard is “our man” in Haiti, the one CIA and military intelligence will designate as the person with whom to replace Duvalier once they get rid of him, as Clemard was urging them to do. Yet another candidate for the designation of “our man in Haiti” is CIA’s personal arms dealer, one Isadore Irving Davidson, a lobbyist for South American dictators and an intelligence asset at the highest level. Davidson had ingratiated himself with Duvalier and signed on as Duvalier’s public relations man on December 12, 1963. Davidson was already registered as an agent for Nicaragua, Panama, Ecuador and Indonesia. Clemard Joseph Charles was an ambiguous figure, and in many ways a sympathetic one. Yet he was playing a double game: he was Duvalier’s banker and his bagman, dispensing political largesse to American politicians on behalf of Papa Doc. Duvalier sent Charles to the U. S. to purchase surplus airplanes and ships so that he might defend himself against a flurry of American invasions; there were at least eight during the period of this narrative. At the same time, Charles was plotting, he hoped with the assistance of the Americans, to depose Duvalier. He was a generous and liberal man, a banker who helped people in need without fanfare or asking for credit. He had the interests of the people of Haiti at heart, and had he been able to keep the Americans at bay, he might well have made a decent president of the Republic of Haiti. It was inevitable that sooner or later Duvalier would discover that Charles was his adversary. Exposed, Charles landed twice in Fort Dimanche prison. He was stripped of every cent he had, including the money in his foreign bank accounts. “Our Man In Haiti” examines in some detail how CIA treats its assets and contacts when they are no longer of use to the Agency. Not well. Here we find a parallel between the Agency’s abandonment of its asset de Mohrenschildt who was cast to the winds and, we will come to this later, finally dispatched, and Charles. CIA washed its hands of both of them when it became clear that they had outlived their usefulness from the Agency’s point of view. In the section called “Documents of Interest” you will find documents that come from CIA or the 902nd Military Intelligence Group (irreverently known by those in the know as “90 Deuce”). The 902nd Military Intelligence Group tracked Clemard Joseph Charles on all his travels, sharing information with CIA. I include a military intelligence chronology that follows the movements of Charles on his spring 1963 visit to the United States when he attempted to win the support both of military intelligence and CIA. CIA insisted that it lost interest in Charles after that visit. Yet I found documents dating from 1967, four years later, that reveal that CIA remained very much interested in Clemard Joseph Charles. These include documents from Charles’ CIA handler Francis D. Rachfield (also known as Matthew Chubb). They are dated from a time when CIA insisted that they neither desired nor had anything more to do with Clemard Joseph Charles. I hired a former CIA employee based here in Boca to help me figure out which was the real name, and which the pseudo. Was Rachfield the real name or was it Chubb? If he found this out, he didn’t share that knowledge with me. Deep into the millennium CIA concealed its relationship with Clemard Joseph Charles. It is entirely possible that neither Chubb nor Rachfield was the original name of this individual. I also include a letter from Washington lawyer Bernard Fensterwald, who had conducted a Freedom of Information inquiry on the subject of Clemard Joseph Charles. The letter dates from 1983. In a meeting at the Pentagon with Fensterwald, the representative of military intelligence, whose name is Roger Pierce, insists that Clemard is dead. He is quite emphatic: “Charles is now deceased. He died in Haiti in 1981. His death was under ‘bizarre circumstances.’” Charles, as the narrative shows, was at the time very much alive. Not only was Clemard Joseph Charles not dead, but he had not relinquished his ambition to be President of Haiti. He lived for another decade. “Our Man In Haiti” answers the question of what that international adventurer George de Mohrenschildt was doing in Haiti, where he resided right through the time of the preparation and enactment of the Kennedy assassination; he returned to the U.S. to testify before the Warren Commission, then returned to Haiti for another few years. He declared that he had a contract with Papa Doc to run a sisal plantation, to search for oil, to develop a “holding company” of small businesses. At one point, CIA reported that de Mohrenschildt had discovered bauxite deposits. He sold sisal to the Poles. Who knew what he was doing: another scoundrel attempting to exploit the resources of Haiti for purposes that had nothing to do with developing an infrastructure that would serve the Haitian people. Thanks to the daily reports by the spy sent by CIA to monitor de Mohrenschildt, I was able to recreate the conversations at de Mohrenschildt’s formal and frequent dinner parties, and to note the list of guests. I could not uncover evidence that from his perch in Haiti George de Mohrenschildt had anything to do with the logistics of the Kennedy assassination. That de Mohrenschildt was a man who knew too much about CIA’s knowledge of Oswald there can be no doubt. One of de Mohrenschildt’s dinner guests in Haiti was Mohammad Fayed, whom we have come to know as the father of Dodi Al Fayed, who perished in that automobile accident with Princess Diana. Fayed was another variety of embezzler, and, for a time, he duped Papa Doc. Fayed set up his office in the same building where Clemard Joseph Charles had his bank. Fayed almost succeeded in controlling the entire shipping business in Haiti, until CIA sent in one of its premier assets, J. Peter Grace, to set things straight. I also included fragments of another mysterious narrative set in Haiti. It concerns an Air Force Officer named Wight Delk Simpson who never learned to fly a plane, but who apparently visited Haiti in 1963 extracting money or bringing money to pay off people. Later we find Delk Simpson on the board of the Association of Retired Intelligence Officers founded by David Atlee Phillips and Gordon McClendon. Simpson, working for Martin Marietta, apparently appeared in Haiti, and there is an entry in de Mohrenschildt’s address book that reads “Martin-Marietta/Haiti” although the Martin Marietta company had no visible presence in Haiti at the time. Larry [this is a CIA officer, probably based on David Atlee Phillips] became involved with proprietaries for a time, legally incorporated businesses actually financed and controlled by CIA. When the Agency wanted to do something interesting in Kurdistan or Yemen, it filed for incorporation in Delaware. It was during this period that he came into contact with a number of Agency assets who had important holdings in sensitive parts of the hemisphere. A man from United Fruit, a man from the Cuban-Venezuelan Oil Trust (it was George de Mohrenschildt as a matter of fact). Merchant banks, sugar companies, arms dealers. A curious convergence of motives and holdings. Hotel interests here, gambling interests there. Men with vivid histories, sometimes including prison. He saw there was a natural kinship between business and intelligence work. From this paragraph you can see the connection between CIA, the Kennedy assassination (the subject of “Libra”), and what was going on in Haiti at the time. Among my sources for Our Man In Haiti, my favorite is a person who moves through the entire narrative, observing and knowing what was going on. 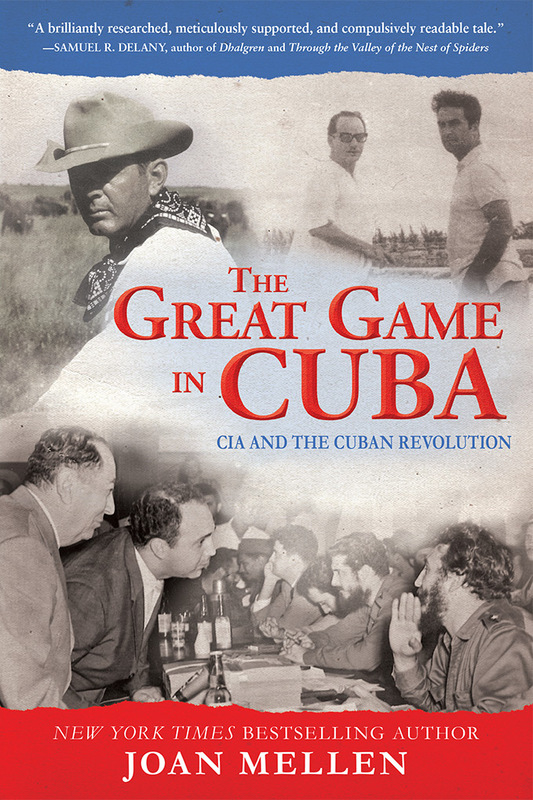 He is the Greek chorus of this book, and his name is Joseph F. Dryer, Jr. Joe ran a kenaf plantation first in Cuba and then in Haiti on which he was a partner of Clemard Joseph Charles. He met Charles in Cuba where Dryer ran his kenaf business. Papa Doc realized that if kenaf could grow and prosper in Cuba, why not in Haiti? Dryer had long known Haiti, having visited often. He had developed an affection for the people and culture of Haiti. He attempted to continue to run his business during the repression of the Duvalier years and referred to himself as a “farmer.” He employed thousands of Haitians on his kenaf plantation. His escape from Papa Doc’s Haiti chronicles an adventure that would be worthy of any Graham Greene novel. After escaping from Duvalier’s terror squad, in a hair-raising episode worthy of both Graham Greene and John Le Carre, Dryer returned to Haiti where he figured in helping Clemard Joseph Charles, now under guard by Duvalier’s soldiers yet one final time. A further note: Dryer disputed the figure of $250,000 that has been printed in his House Select Committee testimony regarding the money that suddenly appeared in George de Mohrenschildt’s bank account, and had been discovered by the spy Jacqueline Lancelot. You will enjoy the portrait that emerges of this intriguing woman and international spy, a bona fide mata hari. Jacqueline ran the restaurant Le Picardie in Petionville where CIA agents headed when they flew to Haiti from the airport without even first checking in at the American embassy. 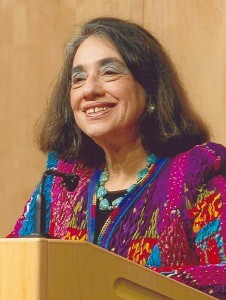 She is a character in the novel Topaz, which was made into a film by Alfred Hitchcock. In “Topaz,” Jacqueline is “Juanita de Cordoba,” a spy in a Cuban setting. De Vosjoli had been sent to Cuba to investigate the presence of Soviet missiles, an assignment awarded to him by Allen Dulles, no matter that Dulles was no longer, officially, the Director of Central Intelligence. Everyone knew better. The text of de Vosjoli’s interview with the House Select Committee on Assassinations has vanished predictably into thin air, but we do have the summary and I quote profusely from that. “Topaz” is de Vosjoli’s personal story, although his name does not appear on the cover: de Vosjoli hired Leon Uris, the best-selling author of “Exodus,” to be his ghost. When Uris violated their contract, de Vosjoli sued him in a California court and came away with considerable damages. Throughout the sixties, the U.S. and CIA sent paramilitary invasions into Haiti and I discuss those. Both enjoyed the ubiquitous presence of that scoundrel I. I. Davidson, who had registered as a lobbyist for Duvalier, informed to the FBI, and sold arms to CIA. Davidson’s deepest loyalty was, however, to the state of Israel. 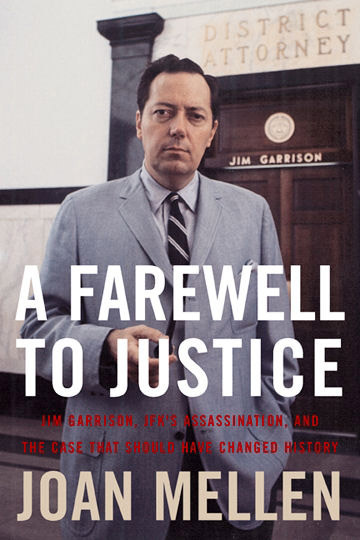 Davidson later became a defendant in the Brilab trial which sent Carlos Marcello, the Louisiana mafia don, to prison. Needless to say, Davidson was acquitted. It would not be fair to say that CIA entirely abandons its own. The two most elaborate expeditions into Haiti that I cover came in 1967 and 1968. One, organized by Cuban exile, the politician Rolando Masferrer Rojas, was aborted by CIA. You’ll see Davidson’s hand in that. Masferrer’s motive was to set up an outpost in Haiti from which a war against Fidel Castro could be waged. Again Haiti is being used for purposes that have nothing to do with benefiting Haiti. The major paramilitary expedition into Haiti came in 1968. It included a Super Constellation airplane bombing the National Palace in Port-au-Prince. It was described for me by Howard K. Davis and the late Martin Xavier Casey. The hand of CIA is apparent here as well. Attorney General Nicholas Katzenbach, sent to do a dirty job not for the first time, insisted that the U.S. had no involvement. Duvalier, of course, didn’t believe him. Martin Xavier Casey described for me how CIA “doctors,” dressed up in white coats, came to examine everyone as they readied themselves for the Masferrer expedition. If I have to mention the most surprising information that I discovered it is that Joe Dryer made contact with George de Mohrenschildt, whom he had known in Haiti, and had never much liked, the day before de Mohrenschildt’s death. After leaving Haiti, Dryer said, he often wondered what had become of de Mohrenschildt. Dryer’s social friend in Palm Beach was Wynn Sharples Balinger, who had once been married to de Mohrenschildt. (She was wife number three). The Civil Service Commission records contain a very forthright interview with Wynn Sharples on the subject of de Mohrenschildt and what it was like to be married to him. Once his initial charm wore off, it was not pleasant. One night at a dinner party in Palm Beach, Dryer found himself seated next to Wynn Balinger. At first the conversation was innocuous. A son of Dryer and his wife, Nancy, had dated Balinger’s daughter. Then Dryer asked Balinger about George de Mohrenschildt, and the door of civility slammed shut. “I don’t want to remember that man!” Balinger said, shutting off all further conversation about George de Mohrenschildt. When de Mohrenschildt went down to Florida in the early spring of 1977 on the trip during which he was interviewed by Edward J. Epstein for “Reader’s Digest,” he telephoned Dryer. De Mohrenschildt professed that he had something important that he wanted to discuss with Dryer. A man of ebullient curiosity, Dryer at once agreed. De Mohrenschildt invited Dryer to have lunch that very day. Seeing no urgency, busy with his investment business, Dryer made a date with de Mohrenschildt for the following day when they would meet at the mansion where de Mohrenschildt was staying. The time was set. De Mohrenschildt gave Dryer directions. It was on that day that de Mohrenschildt was shot and found dead. Dryer remains certain that de Mohrenschildt was murdered, as several people have also suggested. There were no shells for the supposed murder weapon, a shotgun, in that house. Dryer noted that the maid had heard a car drive away at the time. He said that de Mohrenschildt was not despondent but cheerful. He was his old subtle self, always ironic, a natural-born cynic. De Mohrenschildt could not have been agitated by the fact that government investigator Gaeton Fonzi had called and left his card – because de Mohrenschildt was apparently ready to talk….Certainly it seems that his death was the work of those who wanted to prevent him from telling what he knew. De Mohrenschildt had begun to tell his story that morning in his conversation with Edward J. Epstein. 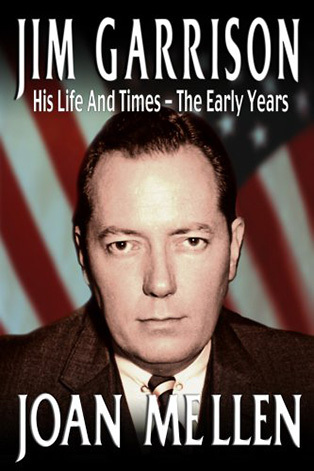 For the first time, he admitted that J. Walton Moore, who ran the CIA field office in Dallas, had assigned him to, using de Mohrenschildt’s words, to “keep tabs on Oswald.” What more he would have said we will never know. You will enjoy the appearances of Joe Dryer in “Our Man In Haiti.” He was the keenest of observers, and he manifested a love for the beleaguered people of Haiti that I attempted to capture by choosing the painting I did for the cover of the book. There are no large scale protests by the Haitian people in this story of the era of the ton tons macoute. It was sometimes difficult to obtain photographs of this period of Haitian history. I have a photograph of the restaurant run by Jacqueline Lancelot called “Le Picardie.” I was able to obtain a revealing photograph of Rolando Masferrer Rojas. Taken in Cuba, it shows Masferrer with two weapons, harbingers of what was to come. The photograph came to me courtesy of Masferrer scholar Gordon Winslow. Let me mention a few other photographs of interest that are included in the book. Many men fell in love with Jacqueline Lancelot, and one of my sources, who visited Le Picardie during those years, told me that you had to watch your husband when you were at Le Picardie. Jacqueline focused on the men, and if you ordered lobster for lunch, she would send over a bottle of champagne and have a glass with you. The only photograph I could obtain of Philippe de Vosjoli was the cover photograph taken by the great photographer Alfred Eisenstaedt for LIFE magazine’s story, “The French Spy Scandal.” We see only de Vosjoli’s back, as befitting an agent of the clandestine services. I did interview the young CIA operative who was attached to Anatoly Golitsyn, the Soviet defector, who provided de Vosjoli with impeccable intelligence on those KGB infiltrations into NATO and the de Gaulle government. I had almost given up on finding a photograph of Clemard Joseph Charles only for Joe Dryer to produce one. In this photograph, joining Clemard is the secretary that Dryer told me had been planted on Charles by CIA. The history of U.S. policy in Haiti has been one overwhelmingly of exploitation and pillage. CIA began to exert its influence after the middle of the last century. The story reveals the military to have then become seconded to CIA in carrying out this policy. The story of the corrupting of Jean-Bertrand Aristide has been told by others: when Aristide was fighting for the Haitian people, yet acquiesced in accepting the dictates of the International Monetary Fund, imposing austerity measures, the Haitian people became demoralized. Seizing its opportunity, the U.S. deposed him. When Aristide, a broken man, revealed himself to be willing to facilitate the exploitation of Haiti through US-controlled international agencies like the International Monetary Fund, Bill Clinton sent him back. Clinton has of course returned to control the aid relief sent to Haiti after the earthquake. It does not appear that he dedicated himself to creating a permanent infrastructure in Haiti that could lift the people out of their centuries’ old impoverishment. How could U.S. business hope in the long run to profit from an economically self-sufficient Haiti? There are so many indicators of how Haiti has been undermined: the most obvious is the weakening of Haiti’s agricultural base and the subsequent reliance on importing food. Who does that serve? I close on two Wikileaks that from the point of view of the State Department reveal what the U.S. has always been up to in Haiti: making that country available to being exploited by U.S. companies and businesses. During the period discussed in “Our Man In Haiti,” we see two businesses run by Clint Murchison and his son. One involved the export of less than desirable meat, the other handling inferior flour that was foisted upon the Haitian people. 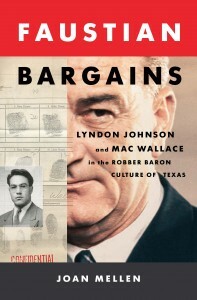 Kickbacks went from Bobby Baker to Lyndon Johnson: how else could that rotten meat find its way with export licenses, first to Puerto Rico and then to Chicago? What the U.S. feared, as one cable published by WIKILEAKS says, is that the opponents of Rene Preval, President of Haiti in 2010, might “take advantage of public dissatisfaction to organize protests,” hence the illustration on the cover of this book. Other WIKILEAKS reveal a U.S. government role in keeping former president Aristide from returning to Haiti. They show that the U.S. tried to suppress the minimum wage in Haiti; and they expose an attempt by Washington to keep Haiti purchasing oil from U.S. corporations rather than the cheaper supply from Hugo Chavez’s Venezuela. Not much, it seems from reports, has changed up to today. It seems so obvious, and I am not an expert on Haiti, is that the one alternative not yet pursued is a Haitian economy by and for Haitians. And yet…the problem may not be Haitian at all, but the absence of disinterested leadership in countries outside Haiti that involve themselves with Haiti. Whomever the U.S. supports, including the present president, will not be likely to have Haiti’s best interests at heart: wasn’t Michel Martelly associated with the army figures who carried out the first coup against Haiti’s first democratically elected President, Jean-Bertrand Aristide in 1991? And with the army forces that carried out a coup against Aristide in 2004? Martelly pledged to make Haiti “business friendly,” that ensured him the support of the U.S.